Bourbon County is back! And while 2015 is a vintage that Goose Island would rather forget, it is commendable considering the transparency–and refunds–the brewery offered for last year's infected lineup. That's not to mention the trial by fire and steps taken to prevent another year of recalls, heading into this year's launch. For the first time, BCBS will be flash-pasteurized. 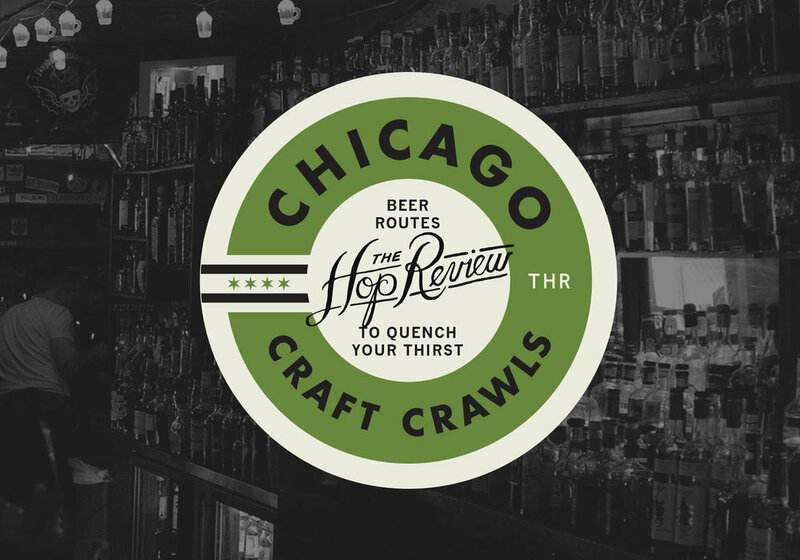 While the process is new for the acclaimed Chicago outfit, breweries have been pasteurizing lagers and ales for decades, including some of the bigger craft breweries in the country. Goose Island has assured there is no palatable effect on the beer itself (we surely didn't notice), and BCBS will continue to develop with age regardless of the pasteurization process. So let's put 2015 in the rearview mirror (we know many folks have). Because, this year's lineup–while downsized from six to four variants–is something worth talking about, rest assured. Oh, those warm fuzzies that came rushing back as soon as that silky, vanilla-y stout hit the lips... After unceremoniously drain pouring an entire case of 2015, it's nice to remember why you cared about this damn beer to begin with. It's Goose's big warm apologetic hug welcoming back its detractors. While there are some characteristics that set it apart from years past, 2016 is the return to grace folks will expect. It's big, bold, and boozy, yet refined. Chocolate notes have moved from fudgy to bittersweet with a tinge of dark berry; the oak is more pronounced, with only undertones of smoke. And the vanilla, which has always been one of the defining characteristics, has taken a more subtle approach than in previous releases. Nonetheless, 'Original' still deserves the hype and recognition it has earned over its last 20+ years. This year's coffee variant–using Intelligentsia's Flecha Roja beans–is more traditional in its coffee approach than last year's fruity and acidic bean. Noticeably thinner than the other variants, Coffee is still big on aroma and flavor with fresh ground beens and a dry, almost chalky, baker's chocolate profile. For more on how Goose Island choose its coffee for Bourbon County, check out our interview with brewmaster Jared Jankoski. Did we mention how dry this variant is? It's dry. For those lucky enough to win tickets to this year's Prop Day: congratulations, because it's looking like 'Prop' 2016 might garner as much buzz as 2015's hard-to-get Rare. The tradition that began in 1992 continues in 2016, showcasing a GI brewer's spin on BCS, in bottle format. The brewer behind this year's Chicago-only release is Emily Kosmal, who found inspiration from her passion for baking (especially brownies) and affinity for smoking cigars on a, "Cold, wet night." And boy, are her muses are front and center. A big nose of chipotle pepper adds not only spice, but a smokey and leathery note. Prop is thick and chewy, has loads of dark chocolate, heat from the peppers, and a sneaky sweetness from the barrels (that aged maple syrup before being turned over to Goose). If you are fortunate to get your hands on a bottle, make a few friends and take your time to enjoy its complexity. This is the fourth year for BCB Barleywine, but the first time it was aged 100% in "fresh" Bourbon barrels. And it's noticeable. Bourbon is front and center this year–sharp and tannic, with notes of char, earthiness, vanilla and a little boozy heat. 'Barleywine' is not as sweet as remembered, but almost oxymoronically thinner and syrupy at the same time. There's a certain cocktail quality to this brew. Often overlooked in the Bourbon County family, Barleywine is also definitely worth your attention this year. Goose Island brewer, Emily Kosmal, discussing her chosen recipe for 2016's Proprietor's BCBS. A pour of 'Original' sits awaiting its chance to show off its welcoming mellower profile. 'Coffee' highlights the dry, dark chocolate characteristics of its Intelligentsia bean selection. Thank you to Goose Island for giving us a sneak peak at this year's 2016 lineup. 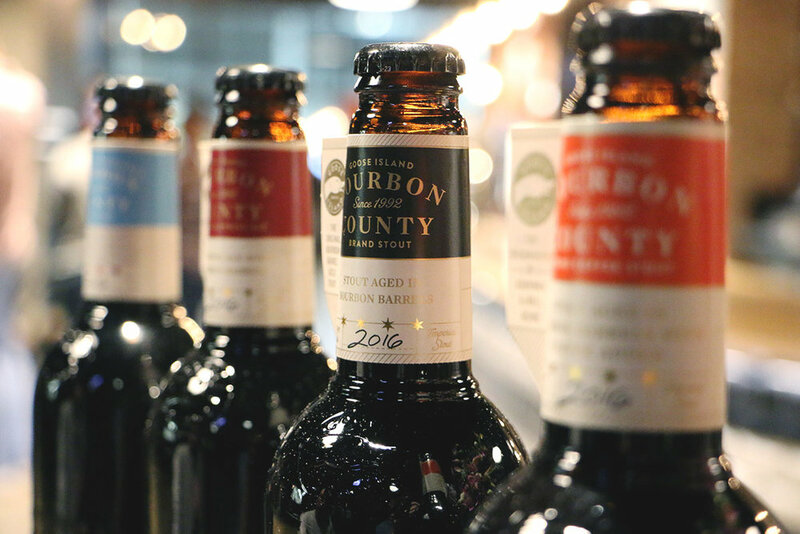 Look for Goose Island's Bourbon County Brand Stout on its typical Black Friday Release, & for those lucky enough to secure a lottery spot, at this year's 'Prop Day'.